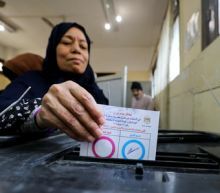 Egyptians voted on Saturday in a three-day referendum on constitutional changes that could allow President Abdel Fattah al-Sisi to stay in office until 2030 and boost the role of the powerful military. Sisi's supporters say the changes are necessary to give him more time to complete major development projects and economic reforms. Critics say they concentrate more power in Sisi's hands and return Egypt to an authoritarian model.